Volvo Car Corp. has named two outsiders to fill critical posts as it embarks on an ambitious plan to invest up to $11 billion in new products over the next five years and to more than double global sales to 800,000 units a year by 2020. The plan, announced in Beijing on Friday, foresees that 400,000 of those sales will come from China, where the automaker will begin production at a new plant in Chengdu, in Sichuan province, in 2013. Volvo named Miami advertising executive Richard Monturo, to head up global marketing effective April 1, the first time the post has been filled since Volvo's acquisition last August by China's Zhejiang Geely Holding Group. Monturo, executive director of the Miami- and Buenos Aires-based agency La Comunidad, has spent the past two months with Volvo as a consultant. Richard Monturo will head up global marketing effective April 1. The Miami advertising executive has spent the last two months with Volvo as a consultant. A graduate of Northwestern University in Illinois, Monturo has worked on award-winning campaigns for Absolut, Nissan, Mercedes-Benz, Michelin, McDonald's and Volkswagen, among others. He lives in Key West, Florida, with his family, but will be based at Volvo headquarters in Gothenburg. 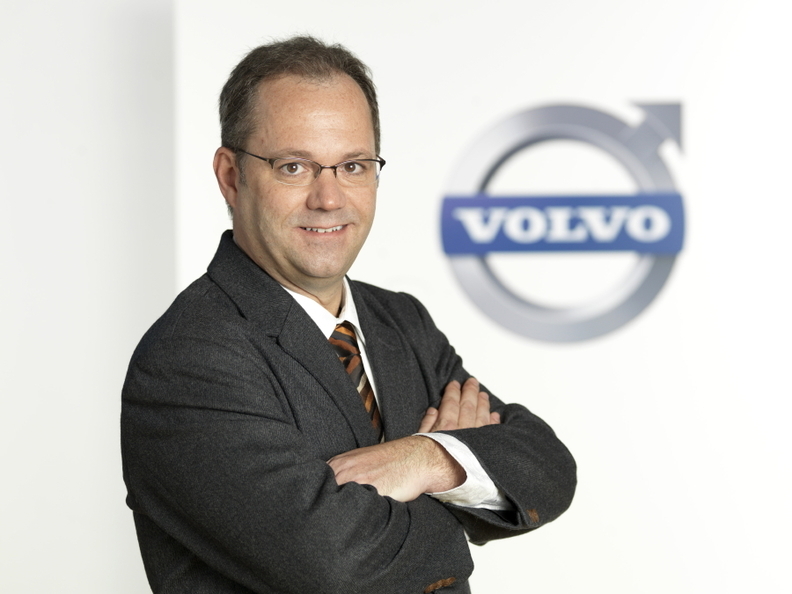 "Richard has the expertise and the necessary experience to sharpen the Volvo brand and to secure consistent execution globally, while understanding local market needs," Volvo CEO Stefan Jacoby said in a statement. The automaker also is bringing in industry veteran and engineering specialist Peter Mertens, 49, as senior vice president for research and development. Mertens, who has held senior management posts at Mercedes-Benz, General Motors and India's Tata Motors over the past 20 years, will succeed acting r&d chief Paul Welander effective April 1. Welander has been named vice president of quality and customer satisfaction. "Peter will lead the next stage of development of our future products," Jacoby said in a statement. "He will play an important role at Volvo." 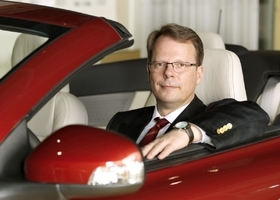 Peter Mertens will lead the next stage of product development at Volvo as new r&d chief. Mertens and Monturo join an executive roster that has been in ferment since Ford Motor Co. completed the sale of Volvo to Geely in a $1.5 billion deal last August. Departures that month included CEO Stephen Odell, a Ford veteran who returned to Ford, and COO Steven Armstrong. CFO Stuart Rowley followed shortly after. Jacoby signed on as Volvo CEO from Volkswagen AG, where he was head of Volkswagen of America and considered a rising star in the global group. In addition to Mertens and Monturo, he has since hired Jan Gurander, finance head at MAN Diesel, to take over as CFO effective April 1, and named 25-year company veteran Lex Kerssemakers head of product strategy and vehicle line management. Kerssemakers, a 50-year-old Dutch native, has been head of Volvo Cars Overseas Corp. With Mertens, his new position gives him a key role to play in the development of the company's next generation of cars. Jacoby has said that he wants Volvo to build more emotion in its cars while also protecting and emphasizing the brand's Scandinavian attributes. Although Geely chairman Li Shufu has vowed to maintain Volvo's Swedish heritage, some analysts and executives have voiced fears that the automaker will inevitably become more Asian in look and character as its center of gravity shifts more and more to China from Sweden.